Whether you have one pickup truck or a fleet of vehicles, Farmers Union Insurance can insure all of your vehicles. This includes everything from your personal autos to your semi trucks, trailers, ATVs, and snowmobiles. We offer all the coverages you may require including liability, collision, comprehensive, storage, towing and rental reimbursement. Your home is your most valuable asset. It is where your family gathers, children grow up, where you relax and retire. It represents your way of life. Whether you rent or own, we know that your home is your sanctuary. Every home is unique making each quote different. Just because it's cheap doesn't mean it's the right coverage. 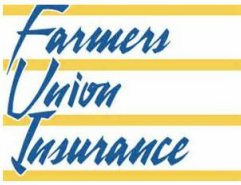 Farmers Union is a Montana insurance company that understands the Montana lifestyle. Your farm is your livelihood. You invest in it every day with your hard work. We know that, we've been insuring farms for over 60 years. Farmers Union Insurance has developed extensive farm and ranch insurance products to give you peace of mind. We offer very competitive pricing and a superior product from a Montana Owned insurance company. We appreciate your hard work in building a successful business & want to help protect your investment. 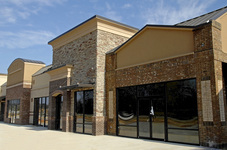 Many businesses will fit our Business Owners insurance policy. For those small to medium sized businesses who do not fit the Business Owners policy, we offer competitive products, both on a Commercial Package basis as well as by individual line of business. We have a program designed for many of the artisan trade contractors. *Please contact our office to get a commercial quote. Commercial policies are unique and have different requirements. We also offer Umbrellas over our policies, to provide you with higher levels of protection.